View More In Camping Shelters. Enjoy a comfortable retreat from the sun from dawn until dusk with the Coleman Point Loma Dome Sun Shelter. This canopy tent sets up in about 15 minutes and creates a spacious 218 square feet of shade, making it a great choice for family reunions and big outdoor gatherings. The Point Loma’s unique super stable dome shape protects from low-angle sun in the early morning and late evening. During the day, the dome’s UVGuard material provides 50+ UPF protection from the sun's dangerous rays, and the vented roof design releases trapped heat for added comfort. Taped seams help keep water out if it rains, while Illumiline reflective guy lines offer greater visibility at night. This canopy tent is made from rugged Polyguard 2X double-thick fabric that stands up to the rigors of the outdoors, so you can use it season after season. Ground stakes and pre-attached guy lines are included for added stability. 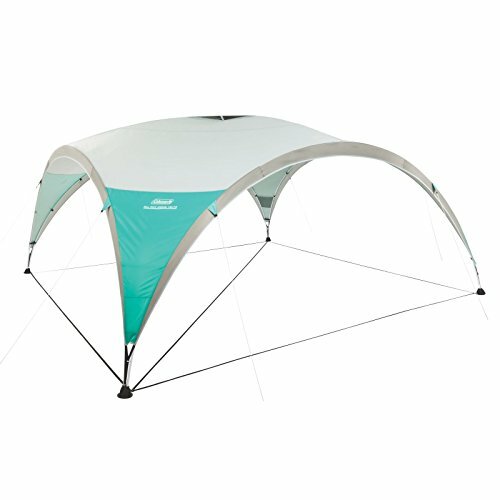 And when the fun is done, the Coleman Point Loma Dome Sun Shelter can be stored and transported in the included easy-pull wheeled carry bag, which fits inside most cars. If you have any questions about this product by Coleman, contact us by completing and submitting the form below. If you are looking for a specif part number, please include it with your message.